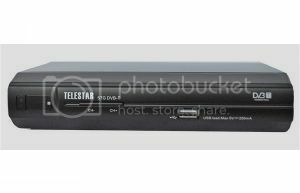 Telestar 57G DVB-T Satellite Receiver for digital terrestrial television channels with the recording to USB drives. This is an inexpensive and high-quality Telestar 57G DVB-T TV receiver that allows for receiving channels in the new format. – Internal power supply 220-240 V, 50-60 Hz, the maximum power consumption 11W.